Tony was a unique and inspirational individual who for more than three decades made an immeasurable impact on countless not-for-profit organisations and fundraisers. The professionalism and approach of the sector as we know it today, is in part due to his tireless drive and enthusiasm to innovate, challenge and improve. His early career began in community fundraising at Help the Aged (now Age UK). He rose, via senior roles in corporate fundraising and as Development Director at the Zoological Society of London, to become Fundraising Director at Imperial Cancer Research Fund (now Cancer Research UK). 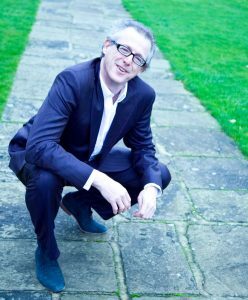 In 2001 he founded leading international consultancy THINK Consulting Solutions, and for fifteen years was a consultant working at the highest level across a wide range of causes and organisations. 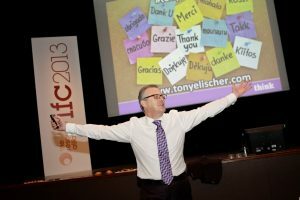 Tony was recognised as one of the world’s top not-for-profit speakers and thinkers and brought energy, passion and original thinking to every presentation. His commitment to improving the sector was demonstrated through his membership of the board of the Journal of Non-profit and Voluntary Sector Marketing, as chair of the International Fundraising Congress and the International Resource Mobilisation Workshop. He was also a Fellow of the UK’s Institute of Fundraising. However, his impact was often made in less high profile ways, through encouraging and guiding individuals in their personal development as fundraising professionals. He had an instinct for spotting talent and drawing out the best in people. Tony gave support generously and unselfishly, commonly helping individuals for many years as they flourished in their careers. The legacy of this will continue with the work of the Foundation. In January 2016, Tony died after a courageous battle with cancer. What Tony had meant to so many individuals was very apparent with a deluge of tributes paid by friends and colleagues. A small selection of these demonstrate the influence and impact which Tony made and which will not be forgotten. “So many qualities made him stand out: his generosity; his enthusiastic pursuit of the fresh and the inspirational; and his support for new ideas and concepts that helped us rethink fundraising. He was a consummate performer, never happier than when he was out there engaging with a critical audience.